this issue Happy days and festive cheer at avanti court primary school Homework - It's about quality not quantity nitesh gor introduces us to not just one mode, but three! What is Avanti Schools Trust? Avanti Schools Trust is a significant but focused multi-sponsor/proposer of high quality education for all with a growing number of schools, including VA schools, Academies and Free schools. The Trust now also welcomes convertor academies to join the family and also offers services to third-party schools. The Trust is differentiated by having very strong community links, supported by grassroots parental demand, and positive working partnerships with the local authorities where we work. Our Trust and each of our schools are all based on developing the ideals of Educational excellence, Character formation and Spiritual insight. ÂŠ 2013 Avanti Schools Trust. All rights reserved. Avanti Schools Trust is a charitable company limited by guarantee registered in England & Wales. Registered No: 07506598 â&#x20AC;˘ Registered Office: Avanti Schools Trust, Camrose Avenue, Edgware, Middlesex, HA8 6ES. Contents 4 Bright Ideas The brightness of a James Biddulph shirt is second only to the brightness of his thinking, but are his epiphanies panning out? Ever wondered how the other half are living? Avanti Court staff and pupils were most delighted to divulge. 12 Festival of Light The talented children of Avanti Court take to the stage for the first time and show parents and local community how to celebrate! Desperate to learn more about India's diversely dazzling culture and traditions? Well, youâ&#x20AC;&#x2122;ve come to the right reading corner. 16 Home learning beats home work James Biddulph looks at the evidence and concludes with an age-old truth: it's about quality not quantity. 20 The Heart of the Curriculum Work to develop the Philosophy & Ethics curriculum for Avanti Schools continues, with James Biddulph brainstorming in Belgium. 21 Reasons to Celebrate! We all like to celebrate, but having a good reason to celebrate makes it all the more meaningful and memorable. 22 Know Thy Mode Who are we - helpless victims of a cruel world or masters of our own destiny? Nitesh Gor gives us a clue. 18 Hungry for News? Like many things worth consuming, news is best when fresh, and where is it most abundant? Facebook of course. Bright Ideas The brightness of a James Biddulph shirt is second only to the brightness of his thinking, but how are his epiphanies panning out? "I have never worked in a school where there is such a positive and enthusiastic parent community"
Do not fo rg e t... The Avanti Life publ ishing team is a small one, but it w ants to grow. Thereâ&#x20AC;&#x2122;s actually lotâ&#x20AC;&#x2122; s of room for you to contribute an d have your say so please feel fr ee to get in touch and get involv ed! Write to matthew@ avanti.org.uk with your ideas. Look forward to hearing from you. Meet Kelly Collins – Receptionist at Avanti Court What’s your favourite book? To Kill a Mockingbird by Harper Lee What’s your favourite food? Spinach & buffalo ricotta canoloni (with parsley garnish!) Where’s your favourite holiday destination? Aruba – a tiny Island in the Caribbean Who would play you in a movie about your life? Greta Garbo What’s your most embarrassing moment? I went to a posh ball once and I won a raffle ticket (so I thought) and I ran up on the stage for my prize and they told me it was the wrong colour ticket. They certainly are a privelaged bunch. Children and staff practically break into song when asked about their day, which is music to one's ears when you consider the school is only one term old. Let's hear it from those lucky enough to spend their time in the halls, offices and classrooms of Avanti Court. to have a little chit chat with our colleagues, discussing how their weekend was; what they got up to and who watched X-Factor last night. All of a sudden, it's time to greet our wonderful kids with a beaming smile. We open the doors ready for our day to begin. We have NQT afternoon today so at least we can take a breath during this busy day. We catch up with Profile Books and some planning then realise we need to get a display up. Being an NQT at Avanti Court is a real learning journey but we know that by drawing upon each others’ experience and getting advice at the right moments, we can get through this year. And oh my gosh, our Headteacher keeps finding ways to make us dress up! First an Alien… what next?!? We honestly don’t know what to expect - all we do know is that every day is an exciting adventure when you work in Early Years!" "On a cold dark morning as the lights in the street slowly flicker on in Carlton Drive, the green gates open to welcome the staff to work. One by one the cars enter the car park. It fills up quickly, leaving only one or two parking spaces empty for people visiting the school. 'Welcome to Avanti Court!' shouts the sign as we walk into the warmth." "Mr Biddulph our Headteacher, is a very well educated man. His office is located on the second floor of the building and is decorated quite tastefully, though he does tend to be a hoarder of papers, files and general clutter, for which he has to be reminded “a clear desk being an open mind!” He is however, a kind and inspirational young man – although not that young! Opposite his office is Mrs Bana, the Deputy Headteacher, an approachable lady whose caring attitude to life is well evident as she sings around the school offering peace and tranquillity like a humming bird in song. Mr Koorrich the Business & Finance Manager: a loving chap, who works hard and has a deep passion above and beyond his duties. Back downstairs to the main reception office (where life here is often described as an 'adventure') sits Kelly Collins front of house – a rather happy, smiley lady who’s motherly ways brings warmth and order to all who enter into the room. This is where hard work made of paper cuts, deadlines and cheer are made. Finally me, I’m Trish – Trish Johnson Pupil Data/Attendance Officer. No time to chat – got to meet my daily deadlines. I have targets to meet and calls to make. It doesn’t mean I am not a kind person, I’m just so! 8.20am fills up with our community and the children. Our Teachers and Teaching Assistants, ever happy and jolly, open the doors to meet them all, in the rain, snow, cold and sunshine – the happy faces of Avanti Court Primary School. Children start the day with registration at 8.30am then study time begins, the office team works hard and are greeted by smiles and welcomes from Mr Biddulph, Mrs Bana and Mr Koorrich as they in turn greet each class as they work. 10.45am break time we hear the children roar with laughter and are playing with joy. Before we realise it, it’s lunchtime. 1pm and it’s that time again – registers, learning, singing, and joy the children are happy. Often as I take a walk around, I see teachers enjoying their time with their classes and we smile together and wave, for this is, by mutual agreement, what we know as Avanti Court life! Lights off, alarm set, doors locked, then it’s back to switching the car lights on as the gates open again and close behind us. The street lights are on and with a final look in the mirror Avanti Court fades away in the evening mist, as thoughts of our families and homes begin to fill our thoughts." LIGHT On 12th November, Avanti Court opened its doors to host parents and community for its first official event. The evening of entertainment was held in celebration of Diwali, the festival of lights. Dressed in spectacular costumes, pupils performed a play depicting the story of Rama and Sita as well as singing songs about the festival. Entertainment included live Kirtan music and dance performances by the Sanskriti Dance Group. Special guests included Redbridge Mayor Councillor Muhammed Javed, School Governor Edward Anobah and Mark Evans, the Education Director for Avanti Schools Trust. Guests also enjoyed tucking into a hill made entirely of Indian sweets, which signifies the sacred Govardhan Hill. This custom originates from a Vaishnava festival, the dates of which coincide with the dates of Diwali. The colour and sparkle of the pupil's performances was matched by the final treat of the night - a firework display in the school's grounds. LIGHT Bringing the community together is an important aspect of any school and it was an incredible statement of the support and commitment of the school’s emerging status that over 400 parents and friends attended the Diwali festival event. Headteacher James Biddulph reflects: “Avanti Court's first official event took place on a cold and damp British Autumn evening. Guided by the excitement of seeing Year 1 children perform their version of the Rama and Sita story and hearing the beautiful sound of Kirtan, over 400 parents, governors, children, friends and extended families braved the elements to attend the event. The evening was also attended by His Worshipful Mayor Mohammad Javed, Mayor of Redbridge, who gave a short speech to spread the message of empathy and sharing. Following a colourful and jazzy romp through the story of Rama overcoming the darkness and evil represented by Ravana, the Reception children sang an Indian song and the well known Gospel song, This Little Light of Mine. One of our parents is also a classical Indian dance teacher and kindly brought her more experienced dancers to entertain us with stories of Krishna's pastimes. Before the fireworks started, we ate prasadam (blessed food) together, offering flowers to Krishna during this month of Kartik and writing prayers on paper diva lamps. And NUSound radio provided cultural music while we ate and chatted. As Headteacher, this was a special event for me. To stand in front of such a positive and committed community, which I humbly take the opportunity to lead, reminds me of the privileged task we have as school leaders and educators - and also the enormity of it! A wise man told me once that schools are holy places. They are holy because they can inspire awe and wonder, community, understanding, friendship and define our responsibilities as individuals in our societies. Our first event in our very young history helped define our responsibility: to continue to find courage and strive for excellence, to mould our young people to want to achieve our seven values and to guide them to find and develop their spirituality on their first steps on a journey of self-discovery.” How schools develop the Festivals Curriculum is down to the staff and leadership to reflect the needs and desires of their own school communities. What was discovered at Avanti Court was a great commitment to the ethos and vision of Avanti Schools – that the spiritual growth of children is as important as their academic achievement. Hinduism is perhaps the world's oldest major religion, This comprehensive book explores its rich historical and cultural development, from its Indian roots to its vibrant application in the present, global context. The first section examines the origins of Hinduism, exploring the holy texts and their teachings about the self, the law of karma, and the cycle of birth and death. The second part focuses on spiritual practices - the four main paths and the many Hindu deities. The final section analyses Hindu society, culture and arts. This accessible book provides the perfect reference for anyone wishing to explore the compelling faith and culture that is Hinduism. It provides a visually rich read, to inform teachers and to inspire children and students. 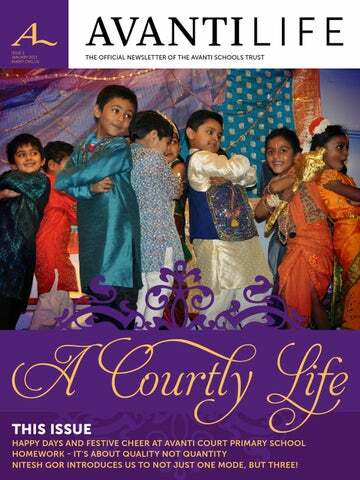 Written by Rasamandala Das, a curriculum consultant to Avanti Schools Trust (see page 20 to learn more about the work of Rasamandala Das), it is a valuable book for any school library but in particular for our Avanti Schools. The Story of India By Michael Wood - Random House UK (2008) Paperback - 320 pages - ISBN 1846074606 Another book to recommend is Michael Woodâ&#x20AC;&#x2122;s The Story of India. Following a successful BBC4 documentary, this book provides a swift traverse through the history of India from early gatherers from Africa to the freedom from the British Empire to its modern status as a super power. The book guides the reader through a complex network of battles and victories, introducing historic characters and religion which helped carve the incredible statue that is incredible India. An easy and worthwhile read. Home Learning: The Avanti Court Way We aim for children to experience learning that is relevant to their lives, to develop learning and questioning skills and to deepen motivation, understanding and personal insight. Through a curriculum that is engaging, broad, flexible and challenging so that they can build on their own talents, aptitudes and skills. We want children to be: •	Questioners •	Debaters •	Critical thinkers •	Compassionate listeners •	Thoughtful and responsible leaders •	Interested and engaged readers •	Confident performers •	Keen lifelong learners We have drawn on research about how best to instil a love of learning in children so that they are positive and reflective, with an attitude that learning requires effort and that through effort you can achieve. Traditional ‘worksheet’ homework does not raise standards. Two large works on homework are from Professor Susan Hallam (Institute of Education, Univeristy of London) and The Sutton Trust Research Group. We looked at the research to see what homework – which we call ‘Home Learning’ – achieves… or not. “Homework can boost achievement, but only when set in moderate amounts” most positive influence when they offer moral support, make appropriate resources available and discuss general issues. They should only actually help with homework when their children specifically ask them to." Dr Hallam feels the evidence points to the effectiveness of homework clubs, which give children the benefits without the rows at home: "Children feel [clubs] make homework more enjoyable and give them a better chance of passing exams. "They provide a suitable learning environment with appropriate resources and adult help if necessary, and they take the pressure off the parents. They may assist in raising standards for those who need extra support or who find it difficult to do homework at home. As such they help to bridge the gap between the haves and the have nots," she says. five to seven-year-olds, rising to two and a half hours a day for GCSE students, is untested. Dr Hallam asserts that the overall contribution that homework makes to school achievement is small compared with prior knowledge, the time spent on task, good attendance at school, motivation and self-confidence. engaged with these types of projects, that they enjoy doing this together as a family. Shivom’s parents said that “he was interviewing his Grandparents to find out when they came to India and were actually discussing what it was like…he’s never done this before”. Learning should be difficult and challenge children. But it should inspire and engage children to see themselves as constant researchers in a world in which knowledge and information is growing exponentially – a world in which the problems and challenges they will face have not yet been invented! Home Learning projects are given out each half term. These include a variety of engaging activities including research, number, writing, reading, model making, designing, being creative, asking questions and exploring. Home Learning is about the whole family coming together to be part of the learning experience. It should be enjoyable because the learning is meaningful – it is not done TO the children but WITH them. Context This half term the year 1 Geography topic is based on journeys. We will be looking at the kinds of journeys we make, how we get there and how we could use a map or atlas to help us reach our journey. 1. What journeys have I been on? 2. What type of transport is needed for my journeys? 3. Can I write a story about an exciting journey? 4. Can I draw a map of a recent journey I have made? Adults can support me by reminding me what I need to remember when writing sentences. They can also help me to draw a map of my journey and to draw and label the type of transport used. and heart-warming. We are honoured to work with the Trust and all those who kindly support this daring new initiative!" Rasamandala Das, an educational consultant, holds an MA in Religious Education from Warwick University. He is author of the much-acclaimed ‘Illustrated Encyclopedia of Hinduism’. His wife, Abala, has a degree in Philosophy and Religious studies and a PGCE (Secondary), specialising in Religious Education. She currently teaches philosophy at Bhaktivedanta College in Belgium. Collective Worship. The Celebratory Festivals Curriculum runs over a core two-year cycle, to enable coverage of all six major ‘world faiths’. Children will encounter all of the six main traditions in each phase (i.e. 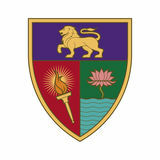 Years 1–2, 3–4, and 5–6). But schools are free to design their festival day and find ways to connect with their communities. See previous pages 12–14 for how one school provided memorable spiritual experiences for its young learners which culminated in an evening performance and community event. three principal motives or modes of behaviour by which every decision can be assessed - the Modes of Ignorance, Passion and Goodness. In ascending order, they also describe increasing levels of awareness. The process of good decision-making begins with evaluating the choices we face to determine whether the primary motivation is complacency, carelessness or oversight (ignorance); greed, pride or some short-term benefit or reaction (passion); or whether the motivation takes into account all stakeholders and the decision is informed by knowledge of and custodianship for outcomes (goodness). The Three Modes are by definition hierarchical: from the inaction of Ignorance we move up the scale to the activity of Passion and from there strive to achieve the balance and mindfulness of choices made primarily in the Mode of Goodness. There is no finish line or mountain top in this process. All three of the Modes are at work in almost every situation and in every person, to one degree or another. BELOW: If you accept the dharmic notion that there is a higher purpose to business and money than profit and pleasure, the Modes will help you stay on track by identifying which is dominant at any given time. The Mode of Goodness Often the tough choice, to act mindfully, with knowledge, purpose and a desire for the long-term benefit of all, characterized by fairness, transparency and trust. This is the mode in which we resist quick fixes and consider the lasting and unseen consequences of every action and choice. The Mode of Passion The alluring choice, acting on the desire for short-term pleasure or results, characterized by pride, narcissism, extremes, unpredictability. This is the engine of greed, addiction and risk-taking, but also of inspiration, innovation and entrepreneurial success. The Mode of Ignorance The lazy choice, acting out of carelessness or disregard for consequences, characterized by lethargy, cynicism, a desire for quick relief from suffering, taking the easy way out. •	What was my true motivation? •	What mode was I in? •	Did I consider all the consequences of my actions? In some situations you may be primarily in the Mode of Ignorance. In others you may be in Passion or Goodness. In still others the dominant mode may be unclear.Thinking about the difference will help develop a thought process for approaching future choices. Do this for a few weeks, noting any changes in your behaviour. Give yourself permission to backslide and to be bewildered at times. If it was easy, you wouldn’t be reading this book. page. Facebook is designed to make sharing news easy, but this is where our challenge lies. The spread of our latest news depends not on word of mouth, but word of mouse. Unless interested people click ‘like’ for Avanti Schools Trust, they’ll never get to hear from us.